Pictures that went viral on social media for their fierce impact during clashes around the world. According to Jezebel, Therese is a naturalised United States citizen who emigrated from the Democratic Republic of Congo, back in 1994. 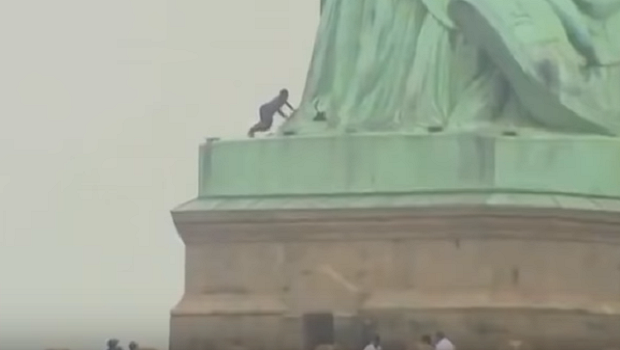 She recently made headlines when she scaled the Statue of Liberty in protest of Trump's controversial new immigration policies, and said she won't come down until all the border children have been reunited with their families. She was in a three hour stand-off with police. Getty Images photographer John Moore snapped this picture of a toddler crying when her mother was searched at the Mexican-border amid the recent controversial immigration policies' implementation. Regarding the gut-wrenching picture, he says: "Public response to the photographs of this scared little girl from Honduras has been overwhelming for me to see. 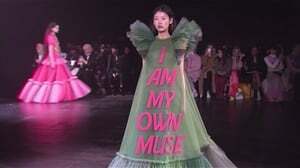 I thought I would share the images that led to the key moment that touched many of you, as it did me. A Honduran asylum seeker, age 2, cries as she and her mother are taken into custody by federal agents near the US-Mexico border. The mother said they had been traveling for a month to reach the United States. They had just crossed the Rio Grande from Mexico and were then transported to a US Customs and Border Protection processing center. "The Trump administration’s 'zero tolerance' policy for undocumented immigrants calls for the frequent separation of parents and children while their cases for political asylum are adjudicated, a process that can take months - or years. This is a series of photographs I took while on a ride-along with the Border Patrol in Texas’ Río Grande Valley last week." In August 2016 there was mass upset over discrimination directed towards Pretoria High School pupils who sported certain natural hair styles. One pupil - Zulaikha Patel - in particular was not having any of it. Crossing her arms above her head, she refused to accept the school's definition of her natural hair as 'unnatural'. Much like the iconic picture of a man standing in front of multiple tanks in Beijing’s Cangan Boulevard in Tiananmen Square on June 5 1989, this photo taken July 10 2016 of nurse, Ieshia Evans standing calmly as police officers rush to arrest her, has been shared so widely that it has become almost just as iconic. In 2013, an image of a 20-year-old Nina de Chiffre went viral as she kissed a policeman's helmet visor in an unusual act of defiance in protest against the construction of a high-speed rail link in northern Italy. READ MORE: Black = dirty, white = clean?! Dove lands in hot water over another offensive ad. 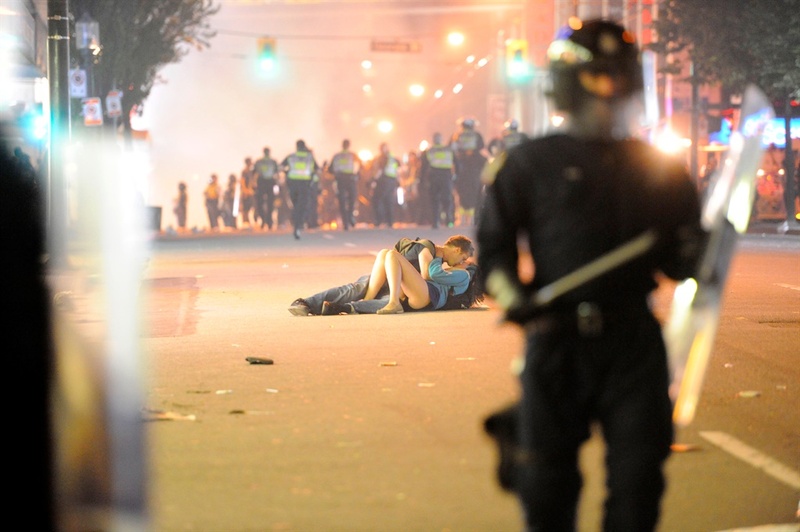 Slightly reminiscent of that Alfred Eisenstaedt picture of a sailor kissing a woman in Times Square in 1945, in 2011 a riot broke out in Vancouver, Canada after their hockey team lost the Stanley Cup Finals. Amidst the chaos, a couple lay down on the road and enjoyed a passionate kiss. In 2012 this image lit up Twitter and the hearts of non-bigots everywhere. A mass anti-gay protest held in Marseilles, France was 'interruped' by two young women locking lips right in front of a squad of homophobes. I particularly relish in the reactions of the women in the background. Follow us on Instagram for cool lifestyle tips and fun Instagram stories!